In case you didn't know, there's a great way to get a bargain on a mid-range devices in the US right now. Amazon is offering some pretty decent unlocked phones with a significant discount, assuming you are okay with them coming with some adverts on the lock screen and a small amount of Amazon -branded apps preinstalled. The handsets, marketed as Prime Exclusive Phones, are nothing to write home about, but they can be a great way for you to get a decent handset with up to 50% discount. So, without further ado, here are the phones that Amazon offers to its Prime customers right now. The Nokia 6 is currently the best specced handset by HMD Global. The phone comes with Snapdragon 430 SoC, 3 GB of RAM, and extremely solid build quality. The aluminum uni-body design is also complemented by some premium features, such as auto-focusing selfie camera, fingerprint scanner, and Dolby Atmos audio. The bigger of a pair of new mid-rangers by Lenovo, the Motorola Moto G5 Plus was well accepted by us here at PhoneArena. It comes with almost premium-feeling design and pretty solid battery life. 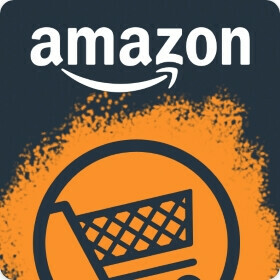 The lower price tag offered by Amazong makes it even more appealing. Released just last month, the Moto E4 is for users that are looking for a somewhat cheap device that simply gets the job done. Having somewhat outdated hardware and no fancy features makes this handset affordable, yet a good choice for people that are looking to use it for reading news, taking calls, and occasionally checking their Facebook feed. Last year's Motorola Moto G4 was not a bad device for its price range. And Amazon is offering a bargain on it, too, so it packs even more value for a mid-ranger now. If you're looking for something with enough battery life to last you through a day of heavy usage and you're not picky about specs, this might be the phone for you. A brand new device by Alcatel that comes with Qualcomm's Snapdragon 625, 3 GB of RAM, and a 1080 x 1920 pixels display. The Alcatel Idol 5S is an upper mid-ranger that offers a lot of bang for its buck. The one thing that makes the Alcatel A50 memorable is a very special external accessory – a back cover with a grid of colorful LEDs. However, since it's sold separately you can only get the phone itself with a discount. It's a device for people that don't need a powerhouse in their pocket, but will still do the trick for the most basic of smartphone use cases. The Alcatel A30 Plus is an entry-level smartphone that's doing its best to reach a mid-range status, but is not quite there yet. Still, it could serve as a good first device for your kids. A strictrly entry-level smartphone, the Alcatel A30 is for people that want nothing, but the essentials – browsing the Internet, making calls, and using IM services. If you're looking for a smartphone cheaper than a lot of feature phones and you don't require it to be running Android 7.0 Nougat, take a look at the BLU R1 HD. It's severely lacking in the hardware and software department, but you get what you paid for. I actually just bought the BLU R1 HD on Monday to replace my iPhone 5C I gave to my stepdad. I am actually surprised how good it is for a $70 phone.